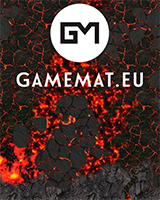 No Comments on Gamemat.eu terrain and G-Mats featured in Alliance Open wargaming events! No Comments on Gamemat.eu NEW OBJECTIVE MARKER PRE-ORDERS ARE UP! Strikingscorpion82 Video Battle Report with Chem Zone G-Mat and prepainted terrain! No Comments on Strikingscorpion82 Video Battle Report with Chem Zone G-Mat and prepainted terrain! No Comments on Prague Open 2019 Recap! Make the Chaos feel home! New battle mat! No Comments on Make the Chaos feel home! New battle mat!